Let me through, I’m a Bureaucrat! For decades there has been a simple solution to cost cutting in public services. Sorry – not cost cutting – “efficiency improvement”. This has been to get rid of those faceless petty bureaucrats in the middle orders; administrators and middle managers. Simple. That way you don’t have to reduce the numbers of ‘front line staff’ such as doctors and nurses, firefighters or refuse collectors. These were non-people, or ‘other people’. It was OK for everyone to resent them. They supposedly sat down all day. They often didn’t have professional qualifications like doctors, engineers or lawyers. If you were frustrated by bureaucracy it would often be one of these people who signed the letter or ultimately answered the phone [“Let me speak to your manager”]. The role was conveniently vague in definition, such that it couldn’t actually apply to you, or to a friend or family member. These were ‘other people’ remember? In the 80s I remember seeing lots of infographics (no, they’re not new) where these targets were represented by rows of little cut out men in bowler hats. A common post-war object of resentment. This solution also became blurred with automation. Clearly many of these roles could be replaced by ‘computers’ or systems, like those you see front line staff frowning over before they turn their attention to you. This would be cost effective no matter how much it cost to develop, deploy, re-develop, update, de-bug, troubleshoot and above all help-desk those systems. There seemed little room for the idea that these were real people, individuals with personalities and the capacity to act with judgement, creativity or compassion. Little room, too, for the idea that the roles they filled may have been the result of evolution, trial, error and learning – not merely stagnation and rote which could be swept away by wholesale ‘business process re-engineering’. 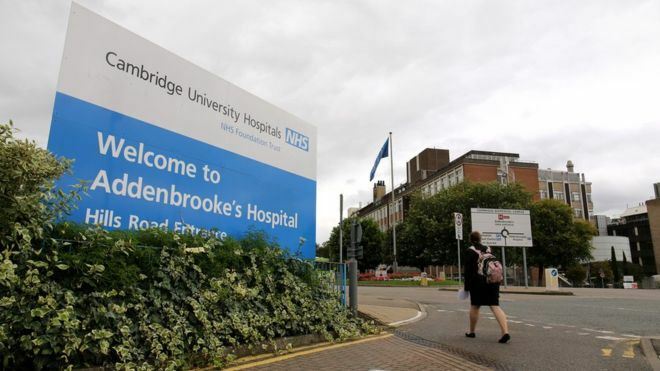 This morning I saw a news story about how the oft-revered Addenbrookes Hospital in Cambridge had been taken into special measures. This is a very large trust and one which when I was a little younger was synonymous with ground breaking, almost miraculous, life-saving medicine. It probably still is. The analysis will go on for some time. But I was struck by the summary that senior management had ‘lost it’s grip’ on what was happening around the hospital. Problems that emerged were not ‘picked up’ and then acted on. Failings included ineffective ways of ‘moving people through the hospital’. All of this, we are told, is in spite of the fact that staff are very highly skilled and extremely caring. Like a neurologist who sees sluggish responses in an otherwise articulate and intelligent patient, I find myself wondering what sort of deficiency in the nervous system of this hospital could lead to such a disconnect between the brain, the eyes and the hands?